I’m not sure anyone would have expected Empire to be the biggest ratings hit of the season over at Fox, but if you were impressed by Gotham’s numbers this fall, you should be doubly impressed by Empire’s numbers, which just keep growing and growing. That’s right, Empire aired its fifth episode this week, and the show has yet to dip in the ratings. In fact, for the fourth time since the premiere, Empire did better in the ratings than it did the week prior. Empire’s fifth episode “Dangerous Bonds” nabbed 11.5 million total viewers. Of those 11.5 million viewers, a slew of them were in the 18-49 demographic, as the episode also earned a 4.6 rating. In fact, Deadline even declared that Wednesday’s episode was the second highest rated episode of the season in the 18-49 demographic in 2015. The only scripted TV episode trumping that one was NBC’s post-Super Bowl airing of The Blacklist. The news should be even more impressive once you realize how many strides Empire has taken in the weeks since the show premiered in January. Seriously, the premiere episode of Empire did a solid 3.8 rating and 9.9 million total viewers, which is a damn fine premiere episode, but it’s nothing compared to Episode 2, which did more than 10 million total viewers and hit the 4.0 ratings mark. Subsequent weeks showed further improvement in the ratings, leading us to this week where Empire might as well drop the mic. Empire does have a pretty solid lead-in, airing after American Idol in Fox’s Wednesday night schedule, but even the premiere episode did better in the ratings than Idol. Normally, we might think of this as a measure of Idol’s faltering in the ratings rather than Empire’s success, but in this case, Empire is actually crushing. 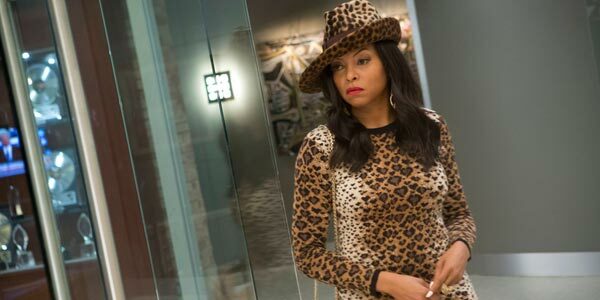 I think part of this has to do with Taraji P. Henson and Terrence Howard’s onscreen reunion and part of this has to do with Empire’s premise, which is unlike anything else that television has to offer right now. Sometimes Empire can be a little over-the-top and often it’s flashy, but people seem to also be extremely invested in the characters and story. But this is just the buzz I’m hearing. I’m only in it to check out Cookie’s wild fashion choices. Despite the fact that ABC has a solid comedy lineup on Wednesday nights, including Modern Family and the recently premiered Fresh Off the Boat, which nabbed a 2.5 rating and 7.9 million viewers last night, Fox is looking like the network to watch on Wednesdays—a statement I’m a little surprised to be uttering this year.